Off roading is one of the most exciting and enjoyable ways to spend a weekend. While off-roading you will encounter beautiful scenery and meet new friends along the trails. It can also be a very demanding sport, which challenges drivers. The trails contain terrain that many drivers have never driven on before, this is why all drivers should follow these guidelines in order to safely return home. 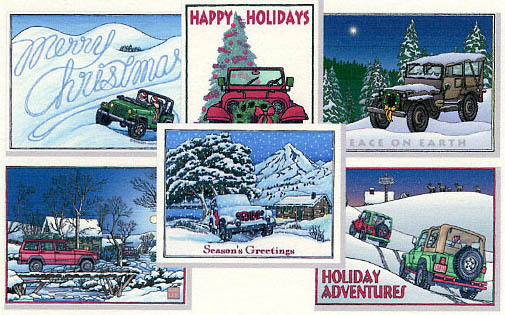 Share Your Plans – It is important that you share your off-roading plans with relatives or friends. This will insure that someone other than you knows your location and the day and time that you plan on returning. If you do not arrive within an acceptable time of when you planned, your friends will be able to provide the location where you planned to off-road. Have A Backup Vehicle – In the case of your off-roading vehicle becoming damaged beyond repair on the trails, you should always have another vehicle available to use as a backup. Having an extra vehicle will allow you to return home and tow your off-roading vehicle back. You will also be able to pull your vehicle if it should become stuck. A backup vehicle is always a good idea. Have An Emergency Kit – As prepared as all drivers like to think they are, you never know for sure what may happen on the trail. If a situation arises where you become stuck or injured you will want to have access to an emergency kit. Your emergency kit should be stocked with first aid supplies as well as food and water. Always Wear A Seatbelt – This is especially important to do while off-roading. The trails that you will be driving on are not as well kept as the roads at home. You and your passengers will be jostled and thrown around on the trail. Wearing a seatbelt will help keep you from becoming injured while driving or in the case of an accident. These are only a few safety tips to remember, it is our goal to help keep you safe so that you can enjoy your time out on the trails. With winter on the horizon, it is time to remind drivers of the dangers of driving in the snow. You never know when a storm can suddenly develop and leave roads a mess, this is why all drivers who live in an area that experiences winter driving conditions should be aware of safety precautions that are necessary if you happen to become trapped in your vehicle. Every weather situation is different but the following safety guidelines apply to all situations and can save your life. Winter driving conditions offer their own unique type of hazards, which is why drivers should always have a winter survival kit in their vehicles. The survival kit should be loaded with food, clothing, water, an extra cell phone battery and blankets. The food that you add to your survival kit should be dry packaged foods that will last for a long time. Foods of this nature include granola bars, trail mix, nuts, crackers and some types of candy. If you decide to add canned foods to your emergency kit, make sure that they have a lid that can be easily removed, such as a pull tab. This will allow you to access the food inside without going nuts trying to find a way to open the can. If you are willing to spend a few more dollars, you may want to add MRE meals that are available at military surplus stores as well as outdoor oriented stores. Your kit should also contain extra clothing that can be used to provide warmth while you are stuck. The extra clothing should consist of boots, gloves, socks a blanket or sleeping bag. If you happen to get wet while venturing outside of your vehicle you will be grateful for the dry change of clothes. Becoming stranded in the winter can also cause drivers to become dehydrated. It is important to have some extra bottles of water or Gatorade. This will help prevent dehydration. If you do not have access to fresh water, you can always eat snow or allow it to melt in order to drink. These are just a few tips to help you stay safe in the winter months. Always be prepared and you will survive anything. Off road driving is an adrenaline pumping, thrilling way to spend a day. For beginners though, the idea of using your brand new Jeep to climb a large pile of boulders may seem a bit daunting; but if the driver has taken the proper steps in becoming familiar with the capabilities and limitations of their Jeep, they will more than likely attempt a climb on a smaller scale and eventually work their way up to larger and more demanding trails. All drivers, whether they are experienced or just starting out should always inspect their vehicles before setting off on a new adventure. Drivers should inspect their batter to insure that it is properly fastened and insure that all hoses are in proper working condition. Drivers should also check their oil and other fluids to make sure that they are all at the appropriate level. The next thing that drivers will want to look at is the condition of their tires. The tires on your vehicle should be at the proper pressure and should be in good condition. Once you’re on the trails, you will want to put your vehicle in 4WD whenever you anticipate a situation arising that will require the use of 4WD. It’s important to use 4WD prior to finding yourself in a situation where you may become stuck, it’s much easier to place your vehicle in 4WD prior to becoming stuck, if you become stuck and need to use your 4WD it may be more difficult to engage and provide you with the needed traction. Drivers should also know that the answer to overcoming obstacles on the course if not always more power and speed. Most of the time drivers will be able to pull themselves out of sticky situations simply by using the lowest gear available. If your vehicle is equipped with a manual transmission, simply letting the clutch out slowly and letting the vehicle crawl will be enough to help you overcome most obstacles on the trail. Once drivers are finished enjoying the trails they should take a little time and inspect the trail to notice if they have disturbed or caused any damage to the surrounding area. All drivers are responsible for keeping the trails safe and enjoyable for years to come. If we do not take proper care of the trails we use, we may lose them down the road.